An EBF Maiden Fillies' Stakes race over 6f 8y on good to firm going. Speculative bet is all about the search for value and finding big prices winners. To be fair, at huge odds a placed effort makes for a superb day. Fingers crossed, we may have a juvenile here which could have a fighting chance at 100/1+. This will be a tough race. A few of these two-year-old fillies have ability. Contentment is held in some regard by William Haggas. Hathfa ran well on debut when seriously backed and will improve for that debut effort. Magicinthemaking is another juvenile who I have heard a good word. 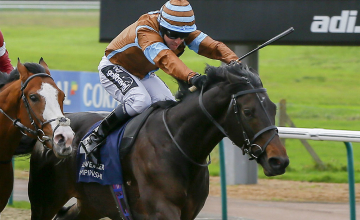 In general, Jeremy Noseda's debutantes need the run but if priced 10/1 & less SP has claims. Promising wasn't fancied in the betting on debut but ran exceptionally well to put down a fair challenge to Perfect Angel. 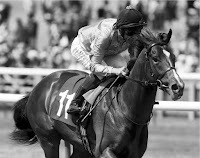 Partitia was made favourite on debut for Sir Michael Stoute but needed the race and will improve. If strong in the betting, this daughter of Bated Breath could be a powerhouse. All the above are challengers. All are there to oppose our big priced tip. But should that put us off a calculated bet? Of course not. It's a fact that if you don't back a big priced horse you will never have a big priced winner. Simple. But how many times do you hear about the eternal favourite backer questioning his luck? So which horse do we fancy here? Chica De La Noche. This bay filly is a daughter of owned by Robert Moss and trained by Simon Dow. Robert purchased this filly at the yearling sales for 62,000G. She ran a cracking race on debut at Goodwood when finishing 5th at odds of 50/1. This filly is a good looker and strong. I was impressed by her physicality and the fact this April foal wasn't pressed under a hands and heels ride. I was very encouraged by that performance and held some hope that second start would see a bold show. She was relatively fancied at Lingfield but what happened in the race is something of a mystery.There was a storm and there was no TV coverage so we only have race comments to make an assessment. In truth, they give no understanding of anything much. The ground changed to good to soft and the time was six seconds slow. In addition, with being off course for over two months I would consider Dow's filly had a problem that day or since. Simon Dow is a capable handler and I suspect they like this filly, the reason why she started her career at Goodwood. At odds of 100/1 is worth a speculative bet at each-way odds.